A composite ZTF image of the Andromeda galaxy made by combining three bands of visible light. The image covers 2.9 square degrees, which is one-sixteenth of ZTF's full field of view. 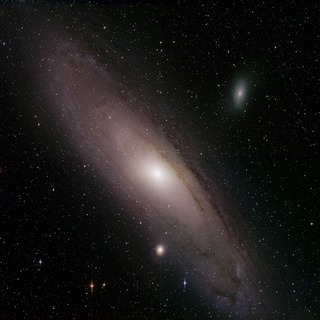 Andromeda, also known as Messier 31, is the nearest major galaxy to our Milky Way galaxy, lying 2.5 million light-years away.